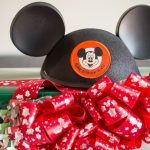 From Mickey’s Very Merry Christmas to holiday decor, treats and more, discover our top 10 Ways to Celebrate the Holidays at Walt Disney World! DISCLOSURE | Thank you to the Walt Disney World Special Events Team for hosting us at Walt Disney World during the holidays. As always, all thoughts and opinions are our own! Hi friends! 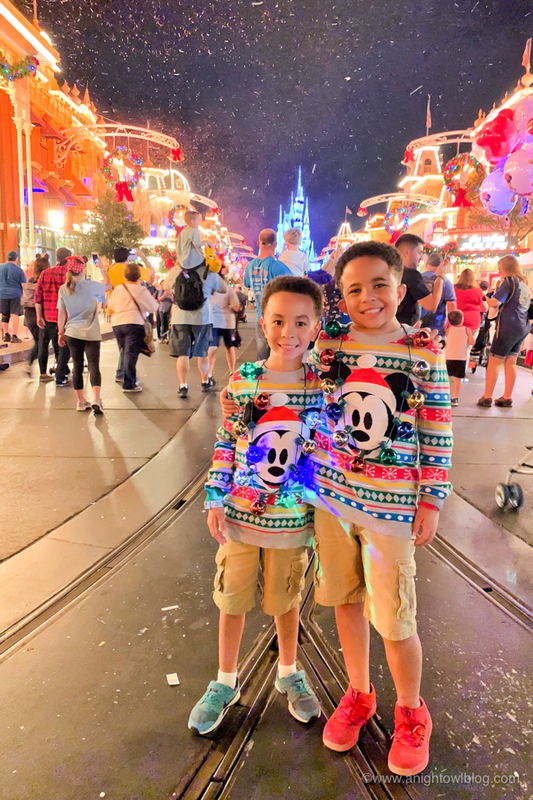 We just got back from a whirlwind vacation at Walt Disney World for the holidays and let me tell you, there’s nothing else that puts you in the holiday spirit than the holidays at Disney! Make plans to visit this month or next; you won’t be disappointed. There is so much to see and do, even outside of visiting the parks. 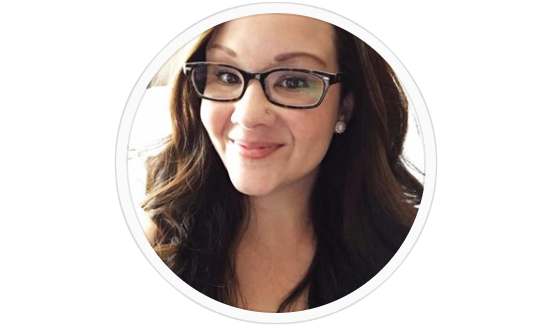 So I wanted to share some of our favorites with you! 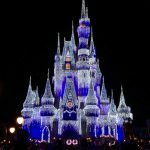 Running November 8th through December 21st, MVMCP is t he ultimate Disney Christmas Party! From Holiday Treat stations to Entertainment, this after hours, special ticketed event is worth every penny! I personally think it’s the best way to kick off the holiday season. Main Street all lit up, snow, music, treats and more. 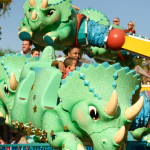 Not to mention you get quick access to your favorite rides, that’s also a plus. It’s a must-do! 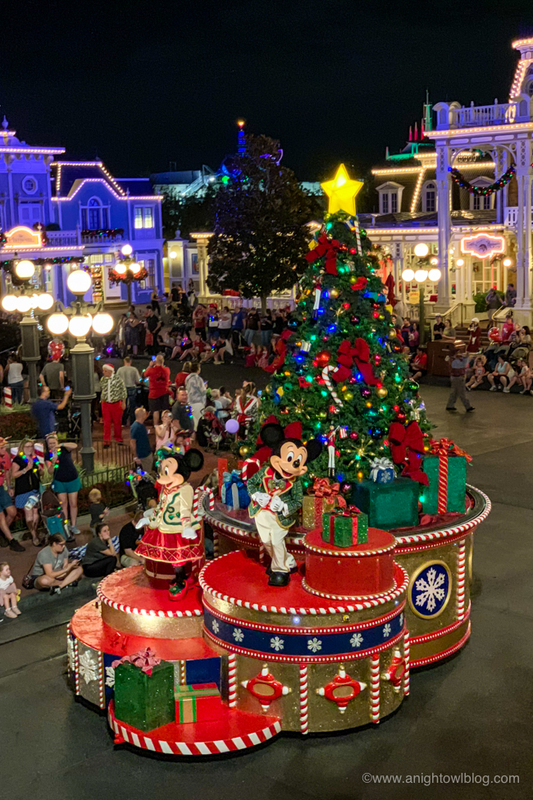 The enchanting holiday parade during Mickey’s Very Merry Christmas Party at Magic Kingdom Park transforms Main Street, U.S.A. Santa Claus, gingerbread men, elves, reindeer, toy soldiers and other friends from the North Pole join Mickey Mouse and his pals. Anna, Elsa, Kristoff and Olaf from “Frozen” join in the fun. I love how festive and fun the parade is, perfect for the holidays. TIP: if you’re near the front, climb up the stairs at the train station for a unique perspective! Another holiday filled event during Mickey’s Very Merry Christmas Party is the holiday fireworks show in Magic Kingdom. 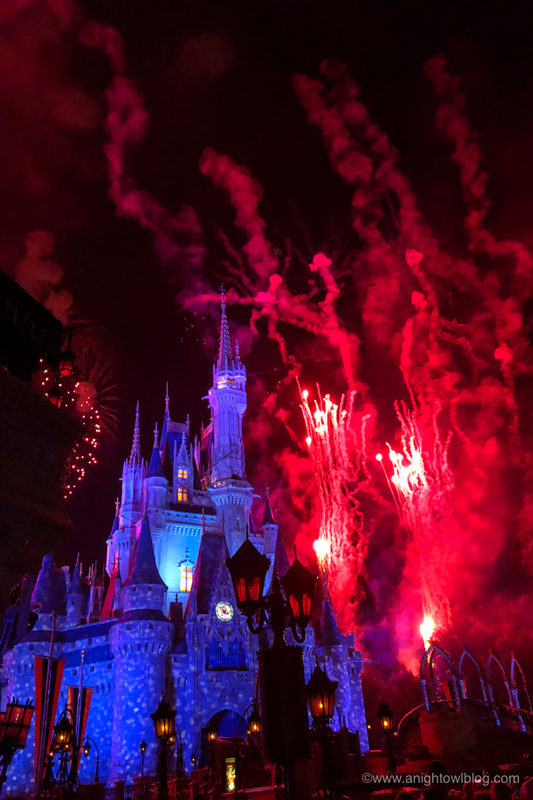 During Holiday Wishes, the night sky lights up high above Cinderella Castle with a holiday fireworks spectacular! You really can see it from anywhere in the park, but my suggestion would be to get there a little early (check the event guide for times) to make sure you get a spot in front of the castle. 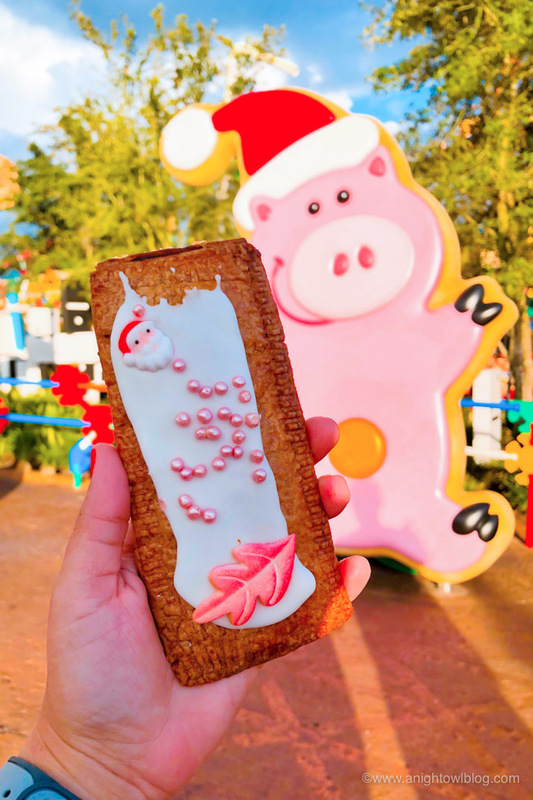 Now I’m a Disney foodie at heart, so you know I’m going to try out the Holiday Treats during this time of year. There are so many special offerings not only at the parks, but at the resorts too! And don’t forget all the cookies and treats at Mickey’s Very Merry Christmas Party. The best time of year for the Disney foodie for sure. 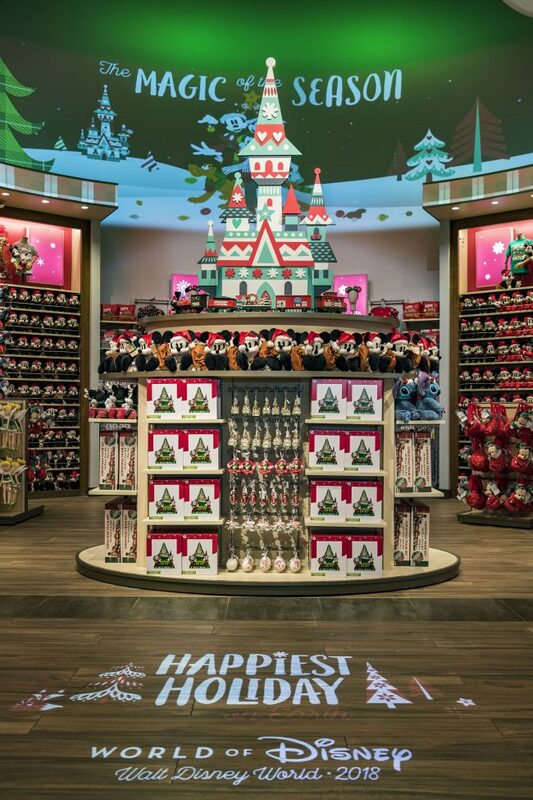 Disney has DECKED the halls…and the parks, and the resorts and more! 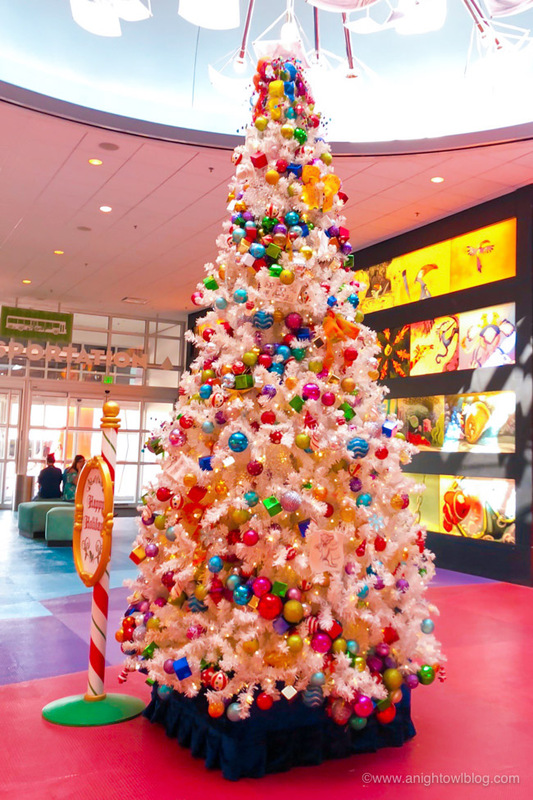 I LOVED visiting not only the parks but multiple resorts to see their Christmas trees, decor and more. You could seriously take a day and just go around to resorts admiring the various ways that they’re celebrating the holidays. So much fun! 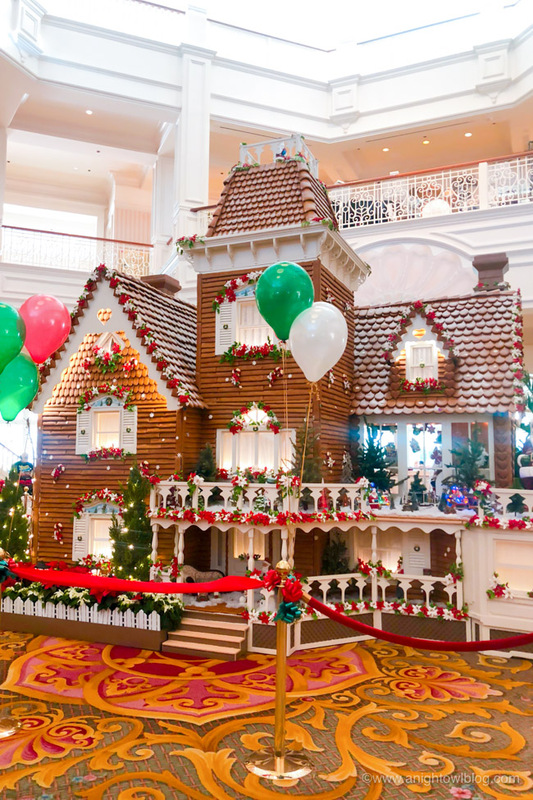 So you’ve likely heard about the AMAZING gingerbread house at the Grand Floridian. For this visit we were fortunate enough to stay at the Grand Floridian AND attend the Ribbon Cutting Ceremony for the Grand Floridian Gingerbread House. 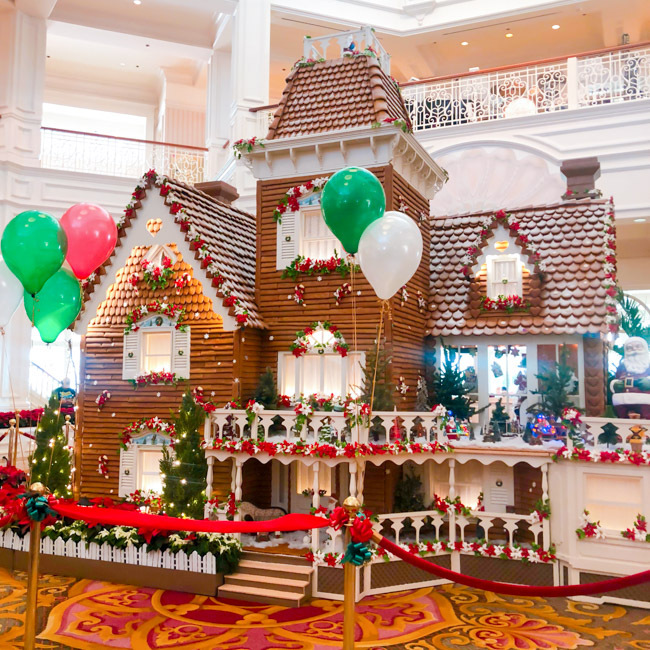 It was so much fun; holiday Mickey and Minnie attended with all of the chefs who were responsible for baking and assembling the amazing gingerbread house. I also had the opportunity to visit the Gingerbread House at the Contemporary. A totally different take on the gingerbread house with a modern twist, it was great to meet the chefs who made it all happen. They even told us that they start prepping and baking for the gingerbread house in July, can’t you believe that?! Every park and almost every resort has their very own Christmas tree! 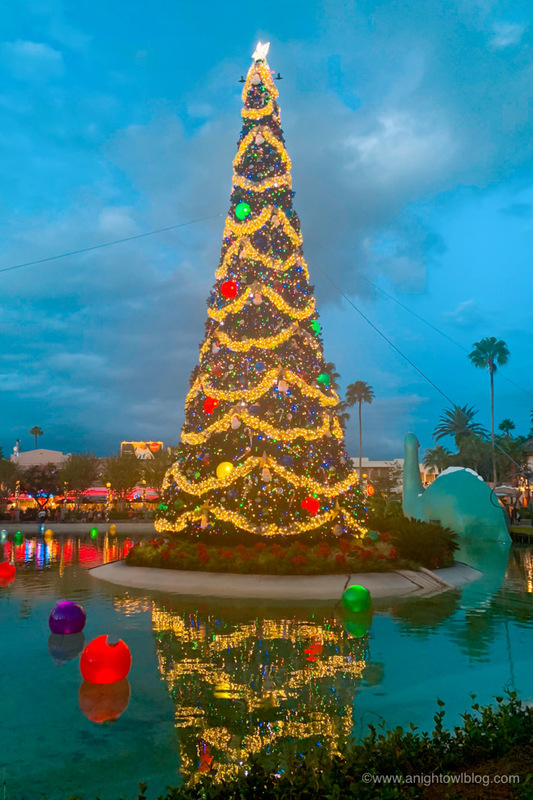 If you’re in the parks, be sure to try to stop by the tree once it hits dusk for a Tree Lighting Ceremony! We were lucky enough to be there for the Tree Lighting in Hollywood Studios and it was just so pretty. I love the vintage holiday feel they have going for the season. I love this event! 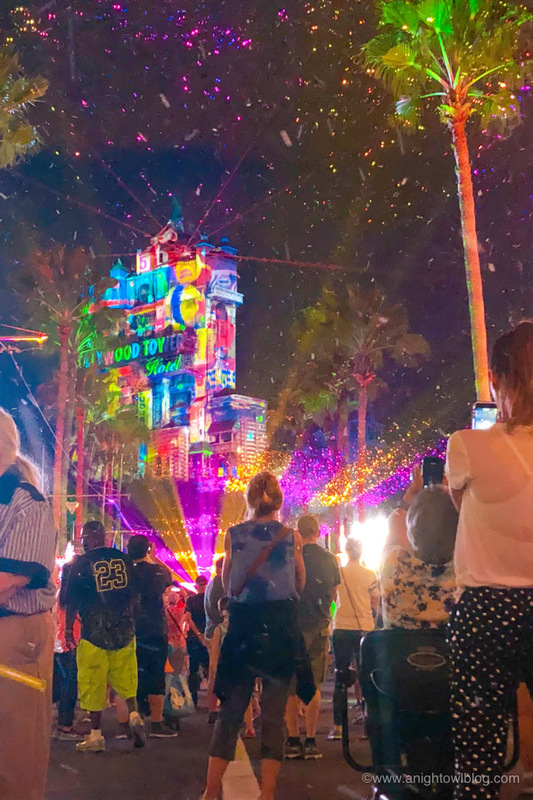 Behold colorful projections on The Hollywood Tower Hotel in Hollywood , boasting new laser effects and “snow,” the experience also includes stories, songs and holiday cheer brought to you by friends like Mickey, Minnie and Olaf. Taking place November 8th through January 6th, Sunset Seasons Greetings is a spectacular celebration you won’t want to miss! Delight in a Santa-sized spectacular jam-packed with holiday music, fireworks, special effects and dazzling state-of-the-art projections—nightly from November 6th to January 6th. Join the festive fun as the stars of ABC’s Prep & Landing search high and low for Kris Kringle. 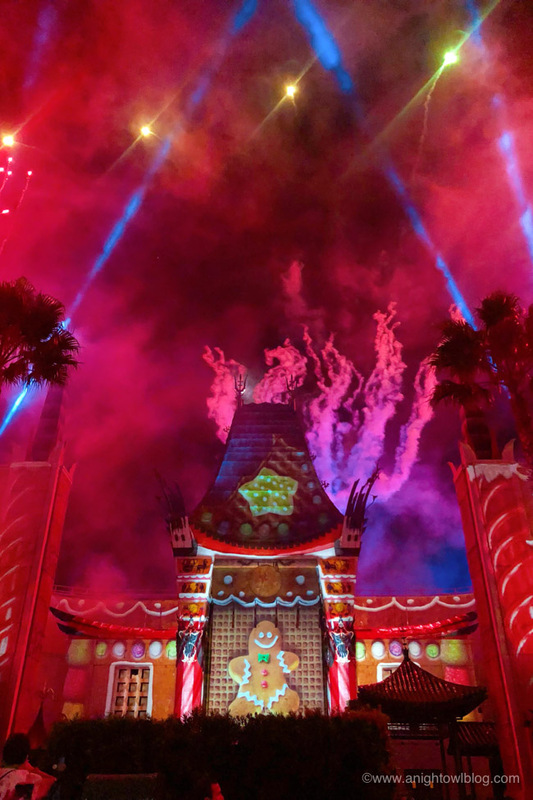 Landing nightly at Disney’s Hollywood Studios for a limited time, it’s Jingle Bell, Jingle BAM! And the Jingle Bell, Jingle BAM Holiday Party? Ooooh I love a good Disney Dessert Party! We’ve had the opportunity to attend the Star Wars: A Galactic Spectacular Dessert Party and the IllumiNations Sparkling Dessert Party and both were unbelievably tasty and fun. And this one is no exception. Delight in holiday-inspired snacks, delicious desserts, wine, beer, and specialty alcoholic and non-alcoholic beverages. 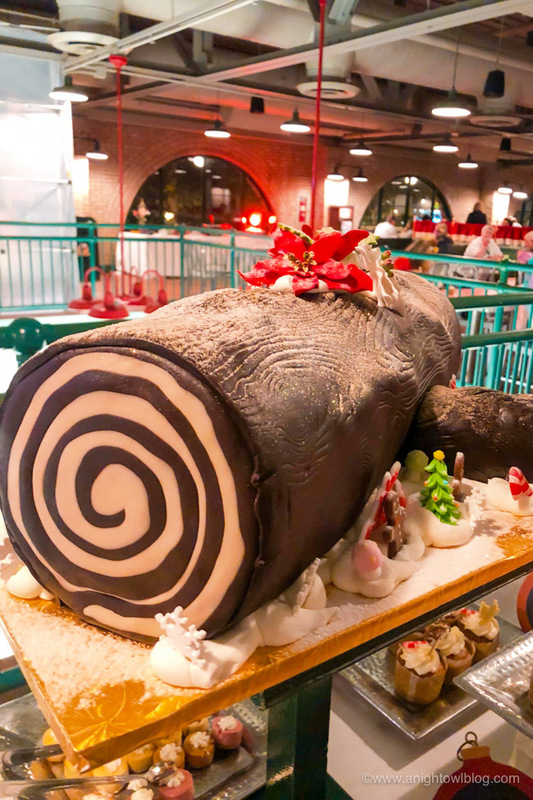 Menu favorites include the classic Yule log, cheese fondue with pretzel bread, and Gingerbread martinis. The party also includes pictures with a VIP Disney Character (in our case, Goofy!) and reserved seating for the Jingle Bell, Jingle BAM show. Let us not forget one of my favorite aspects of Disney – the shopping! I seriously LOVE spending time in all the Disney shops, at the parks, resorts and more. And they go above and beyond for the Holidays! Be sure you schedule time in to stop at various stores; it’s a great time to get gifts for family and friends, and souvenirs from your priceless family vacations! So there you have it. 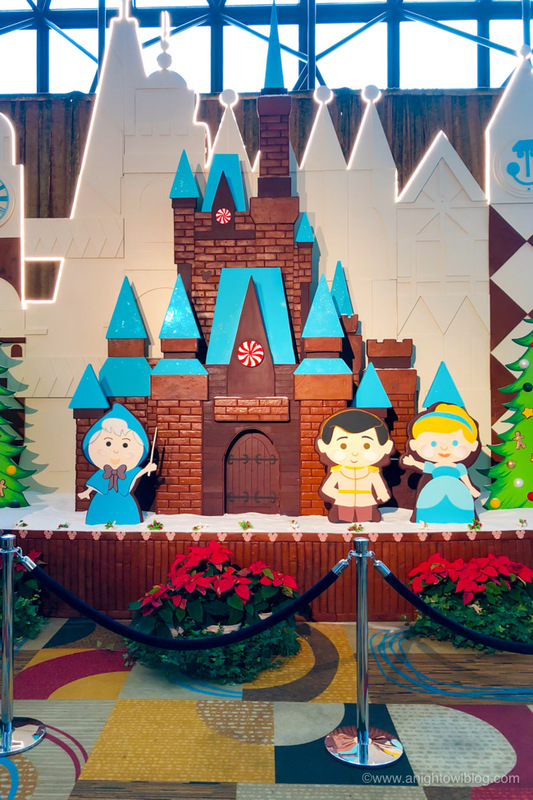 SO MANY reasons to visit Walt Disney World for the holidays. 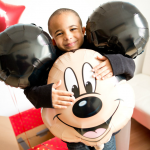 Let us know what your Disney holiday favorites are!